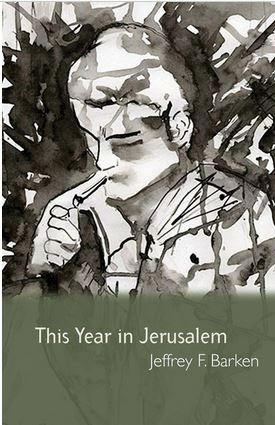 Today’s free eBook download, This Year in Jerusalem, is a premier short story collection from writer Jeffrey F. Barken. The stories are loosely based on his experience in 2009-2010 as a kibbutz volunteer. There are also illustrations in India ink and acrylic by artist Diana Muller. Two childhood friends have betrayed each other. Myles Fletcher flees East to Israel, while Ari Shultz drives West across the United States. Kassam rockets fly in the prize-winning story The Guns in Gaza, and in Draft Dodger, a young man sneaks across the Israeli border, determined to visit his family after many years in exile. Meanwhile, in The News From Lebanon, Dr. Simon Shultz quietly awaits his mother’s death in her Florida condo. The title story, This Year in Jerusalem, brings eccentric characters together from all corners of the world for a Thanksgiving feast. This Year in Jerusalem free through Amazon from Wednesday, February 20, 2014 through Sunday, February 24, 2014. For more free eBooks, check out our 10 Websites to Download Free eBooks list, as well as our Free eBook of the Day archive.